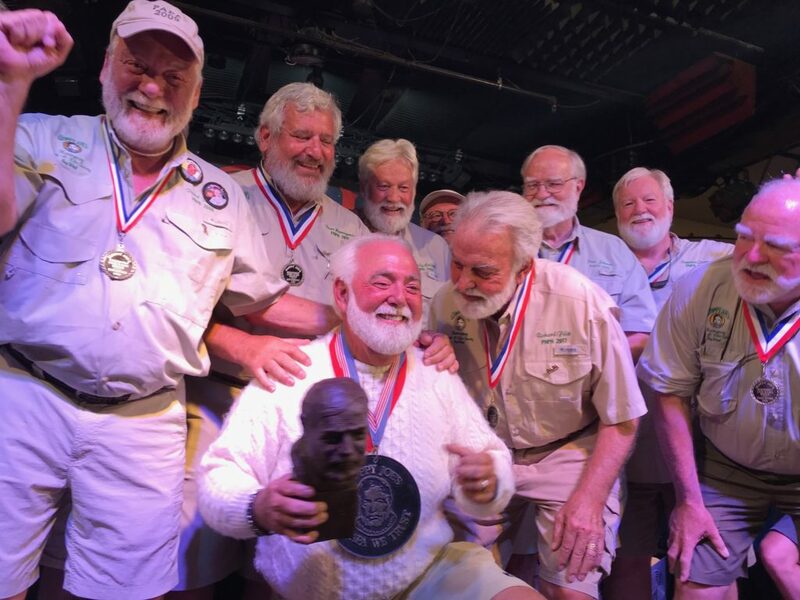 Sloppy Joe’s Bar in Key West will host its 39th Annual Hemingway® Look-Alike contest July 18-21, 2019. The contest is one of many events in Key West to celebrate the birthday of Ernest Hemingway and honor his work as author and sportsman. The competition starts with the first preliminary round on Thursday, July 18th, second preliminary round on Friday, July 19th, and finals on Saturday, July 20th. From each preliminary round finalists are chosen. Last year’s competition had over 150 Look-Alikes taking the stage with 14 contestants from Thursday night preliminary and 15 from Friday night preliminary going on to the final round. Look-Alikes are everywhere, it’s a load of fun! Come early, get a good seat and watch the competition. After the finals, the party spills over into the streets, where the Street Fair on Duval continues with food, drinks, entertainment and fun for everyone! Clothing on stage: Keep in mind it is very hot on stage under the stage lights. Many contestants wear shorts and khaki fishing shirt, some have dressed in safari outfits, wool fisherman sweater and in Cuban style Guayaberas shirts. Clothing Running of the Bulls: HLAS will sell red berets and red bandanas (limited quantities) beginning at 12 Noon on Saturday. Those wishing to wear tradition white clothing with red sash need to be prepared and bring their own clothing (these items not sold). No helium balloons are allowed in bar. No animals allowed in the bar during contest (except for service animals). The infamous Hemingway Look-Alike Society invites you to join the Society. They will be at Sloppy Joe’s to sign-up new members. Caribbean Street Fair Vendor information call Literacy Volunteers of America.